Incidentally, the Duke of Devon–the watering hole of choice for the company’s proprietors–was the first place to pour Hogtown Ale, so it’s good to see the lads have stayed loyal (also incidentally, the original Duke of Devon launch of Hogtown Ale was the first story I ever wrote for blogTO way back in January 2012–and yes, that makes the “first anniversary” math a bit hazy here so let’s not dwell on it). Among circles where such things are discussed, it’s not uncommon to hear “contract brewers” like Hogtown dismissed as something less than wholly passionate beer-makers; however, even though Hogtown uses space at Cool Brewing and hired brewmaster Jay Cooke to craft their beer, I gotta say that for anyone who’s seen the guys from Hogtown out pouring their beer at the Toronto Underground Market or elsewhere, their passion seems clear. Furthermore, and perhaps most importantly when it comes to beer, they seem to have a great time doing what they’re doing and the beer tastes pretty damn good. 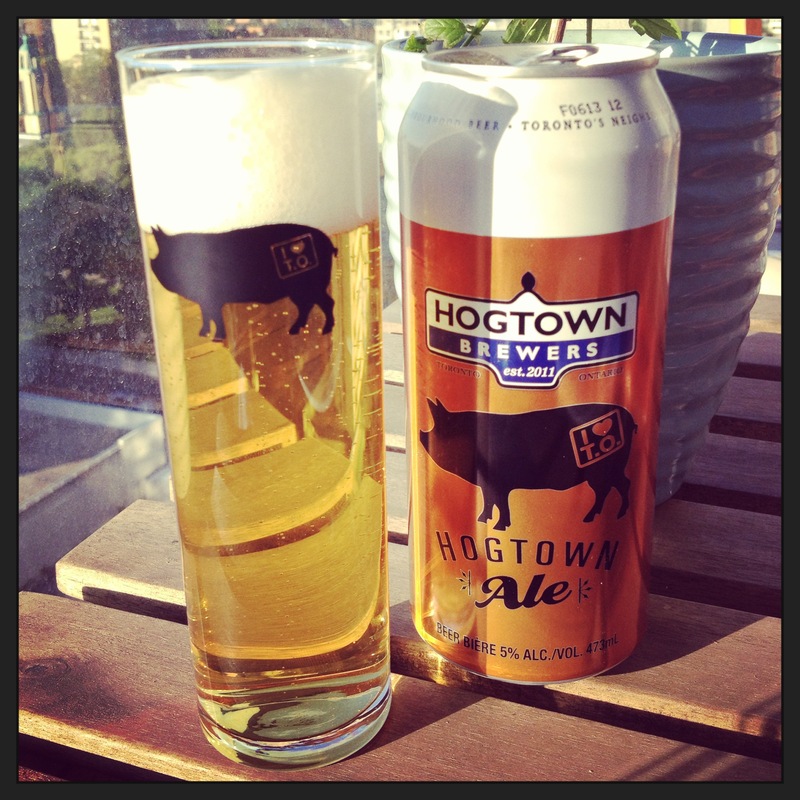 Hogtown Ale is a great example of a Kölsch. The brewing company always said they were out to produce an easy-to-drink local beer and it’s hard to deny they’ve done just that. The odd can of this beer will certainly make it’s way into my fridge (and, likely, my gym bag for post softball enjoyment on Sundays). And, if that’s not enough for you, you should know that Hogtown Ale is, apparently, Tie Domi approved.